First of all, I blame Turtlegirl for the fact that, instead of working on the SEVEN projects currently in my sidebar, I cast on today for “Tomato” from No Sheep for You. See, she was talking about working on her Textured Tunic, and that since it is now finished she was going to start Tomato. I was teasing her, asking if she thought she could finish it by the time she came up for Maryland Sheep and Wool (A week from Friday! Yay!). I mentioned that I was thinking of looking locally for the yarn (BSA Cotton), and she scoffed at me, insisting that there had to be something in my stash that would work. OK, so she had a point there. And I know I promised FO pics, but it’s been a busy weekend around here. Kris worked from 6am Friday until 4am Saturday, and then spent half of Saturday night on the phone with work, so he’s a little beat. I’m going to try to get a couple of my own tomorrow – I’ve got the Chrysanthemum Tea Shawl to show off (Love it, love it, love it! ), as well as a couple of house-oriented projects. I felt so bad for Ian this week. He tried so, so hard to give the judges what they wanted, and they just shredded him in their comments. I’m guessing that Billy Ray and John will be the bottom two, and I’m going to have to say that it will be John going home. Not because I think he’s the worse dancer, but because Billy Ray really has a likeability thing going – sort of the aw, shucks-ness. 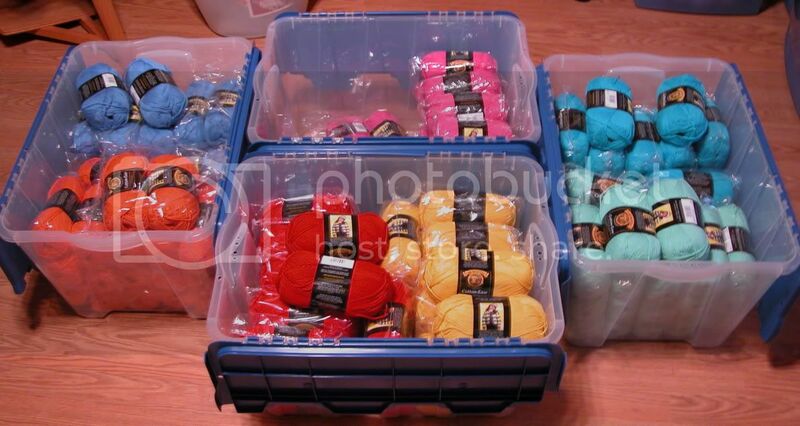 April 23rd, 2007 | Tags: Dancing with the Stars, Knitting, WIPs | Category: Misc. LoL knitting challenges… I bet I can finish spinning and crocheting my eternal sunrise mobius by the time you’re done Tomato! Uh-oh… What did I just do? I’m not doing itâ€¦ you can’t make meâ€¦ I’m finishing Sahara before starting Tomato, hear? It’s for sock yarn people. Of course I’m gonna throw down for sock yarn. I’m finished the waist decreases and in the straight portion gearing up for increases. Whoah- knitting Wacky Races – which of you is Penelope Pitstop? I’m not placing any bets on who will finish first. Heather McCartney – hmmmmm – lives in Hove and most of the Uk appear to dislike her. I just know that she really rates herself. I see her out jogging with her entourage and it’s a real case of ‘Look at me, here I am. Aren’t I wonderful!’ Scary bloomin women. I agree with most of your comments on DWTS, but Ian really was so stiff and not into the dance. My predictions: Apolo 1st place, Joey 2nd place, and Liala 3rd place. Though I do believe Liala deserves better. She and Maksim need to add some POW to one of their routines. She is gorgeous and does slide through her movements.